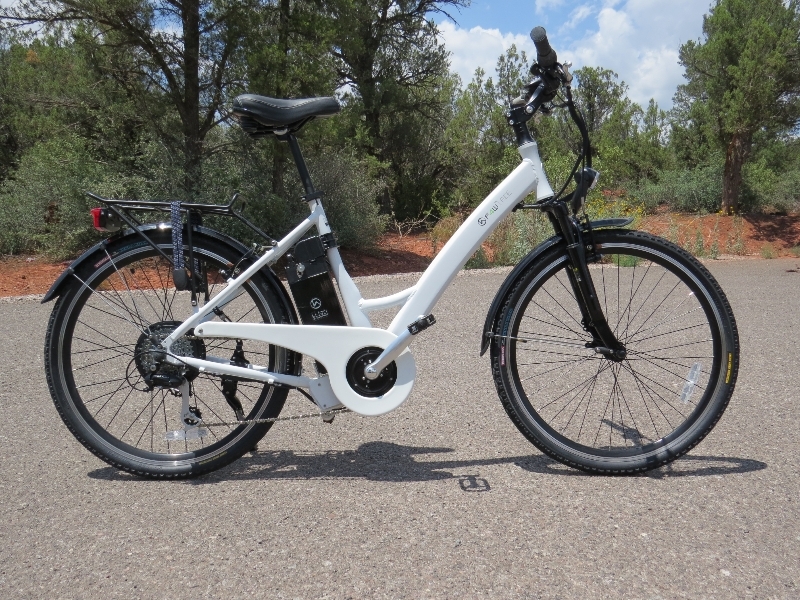 The Bafang mid drive from Dillenger Electric Bikes has arrived for testing and review! Bafang offers one of the few mid drive electric bike kits that can be installed on a traditional bicycle. A lot of the mid drive systems (Bosch, etc.) only come on complete bikes with a specialty frame. A solar electric cargo bike. It sounds futuristic! But the SunCycle is a real bike from NTS Works. I had a chance to catch up with the CEO of NTS Works, Neal Saiki, at Interbike and shoot a video of the innovative SunCycle solar e-cargo bike. In addition, Neal shows us their Fat Free e-bike that is designed for ease of use for almost any size rider. The F4W Ride (Fast4ward) Ride 350W is a commuter style electric bike that is ready to roll; right out of the box! It’s step thru frame design, 350 watt geared rear hub motor, Sony 36V 9ah lithium ion battery, name brand components, and healthy mix of commuter style accessories make this a great bike for commuting to work and running errands.